Cameroon manager Clarence Seedorf admitted he is unsure whether or not Jose Mourinho can bring success to Manchester United while comparing the club’s situation to that of AC Milan. Mourinho has come under intense scrutiny for the team’s negative displays on the pitch and has faced questions over his position at Old Trafford, despite being the club’s most successful manager since Sir Alex Ferguson left in 2013 . “After Ferguson, it’s just difficult,” the former Milan midfielder told Sky Sports . “It’s a transition phase still, and not only Ferguson but the players that he had. “Once the last team of [Paul] Scholes, [Ryan] Giggs and [Wayne] Rooney fall away, it’s a part of the club that leaves the heart of the team. To replace that you need to have patience. 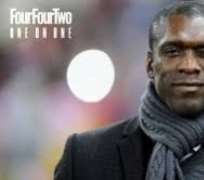 Mourinho’s job is very much on the line and according to Seedorf, despite his considerable qualities and history of success at the highest level, he might not be the right fit for the club. “He [Mourinho] definitely has an interesting track record,” the ex-Netherlands international added. “It’s up to the club and him to understand whether his management still has influence and he can turn things around.